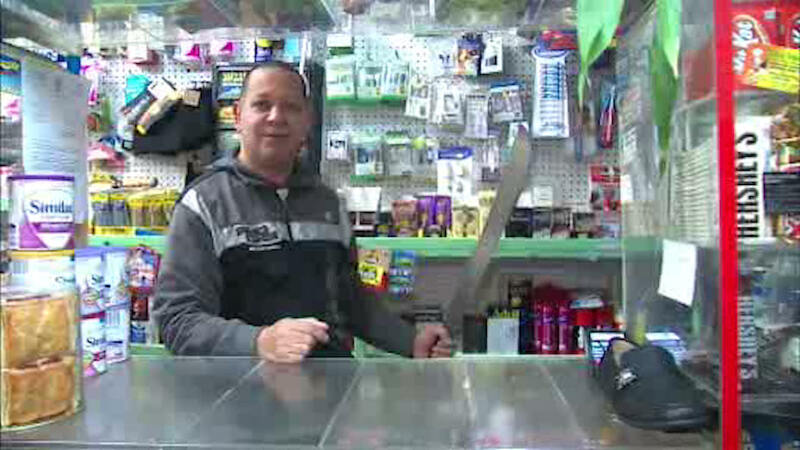 PATERSON, New Jersey (WABC) -- He never thought he'd have to use it, a grocery store owner in New Jersey pulled out a machete to protect his hard-earned cash from three masked robbers. It happened Thursday in the Chula Mini Market on Essex Street in Paterson. As the suspects tried to break into the cash register with a hammer, the owner, Pedro Camilo pulled out a machete. The robbers took one look and took off.